The themes of World War 2 and Nazi Germany aren’t completely foreign to VNs and manga/anime – some beloved and high-profile titles, such as Dies Irae or Hellsing take a very direct inspiration from Nazi imagery and legends about NSDAP elites’ dealings with the occult. More down-to-Earth war stories are however much rarer in this context – prominent franchises such as Valkyrie Chronicles or Saga of Tanya the Evil not only utilize much less controversial political and military framework of WW1, but also add significant fantasy elements to the mix. Even if their stories touch upon the topics such as the fate of the common soldier and atrocities committed by the warring states, the actual historical parallels in them are pretty thin. To apparently remedy this sorry state of affairs, in April 2018 a small OELVN titled Panzer Hearts was released on Steam. Developed by a tiny Finnish studio HELYEES, this game promises a dark story of war, political oppression and romance in an alternate-universe WW2. To this it also adds the theme of tank-building, that should probably excite every military geek such as myself. However, as fantastic as this sounds, can such an unassuming indie game actually deliver on all these fronts? Check out my interview with the developer of this game, ds-sans! Is there any merit to creating a tame, single-heroine romance VN in a market that seems to be flooded with cute love stories, often in much more "advanced" forms? 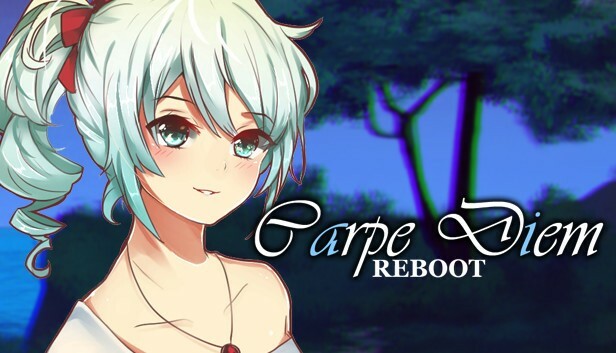 Do a romance VN need to invent something fresh and original to be successful? Is it even possible to be innovative much in the world of cute romance tales, with the kind of saturation the genre offers? Sounds of Her Love, a small freeware title published over a year ago by DEVGRU-P and created by ds-sans, an indie developer then pretty much unknown to the VN community, made me think about all these issues in a fairly substantial manner. And the answer it suggested to me, both due to my personal enjoyment and the warm reception it received from other readers, was: when making a romance story in the visual novel format, you don't have to create anything particularly new, as long as you do the basics really, really well. Those that follow this blog for a while might have noticed that I like to complain about the lack of identity that many Western-made VNs suffer from. As a medium utilized pretty much exclusively by the fans of original Japanese visual novels, EVNs far too often borrow extensively from those when it goes to setting and story elements, to the point of replicating various tiring anime clichés and kitsch tropes. They also frequently copy elements that really have no interest being in a game created by someone living in the USA or Europe, more often than not having only very superficial knowledge of Japanese culture and reality of life in Japan. 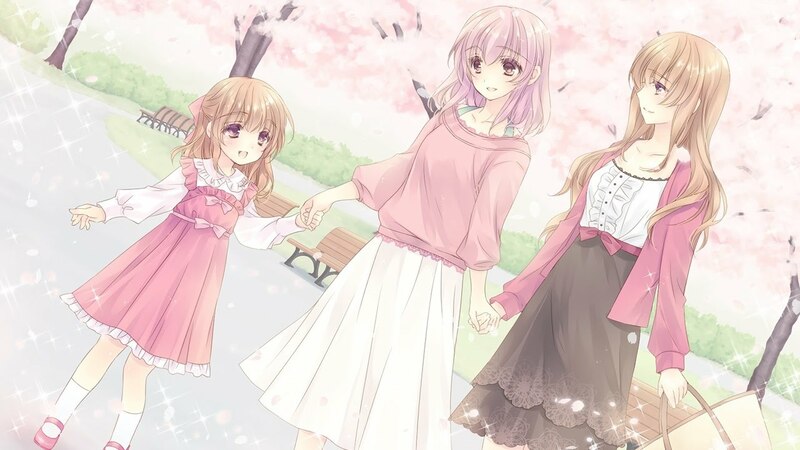 A Little Lily Princess, developed by Hanako Games and published on Steam in May 2016 (under the "Hanabira" label, signifying an outside scriptwriter), is a game that I like bringing up as an example of a Western VN that was able to differentiate itself from the crowd and create unique experience exactly because of the ability to not be completely defined its “weeb” roots, creating a setting and a story far detached from typical anime tropes. Paradoxically, the classic English novel A Little Princess, that this game adapted into the VN/dating sim format, is not a title unknown to anime fans, thanks to the highly-rated series from the 1980’s, Little Princess Sara (it even inspired a few less known projects, such as the slightly outlandish Strain: Strategic Armored Infantry). 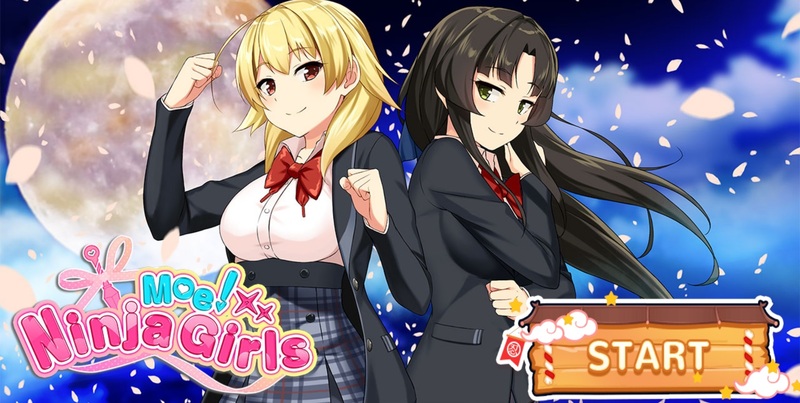 Hanako’s version tries to differentiate itself from those other adaptations mostly by giving a yuri spin to the story – still, as I will try to show in this review, calling it a yuri romance is rather misleading and says little about the true appeal of this game. 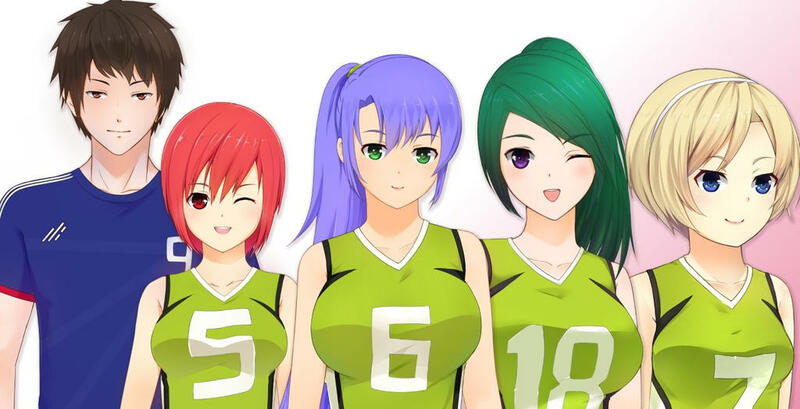 Ebi-hime is one of the very few OELVN developers who managed to establish themselves as reliable and respected creators even among the JP-centric visual novel fans. Having released over 20 titles since 2013, both freeware and commercial, she is probably best-known for her yuri titles, such as Asphyxia and The Sad Story of Emmeline Burns, and memorable horror stories, such as Sweetest Monster and The Way We All Go. Most of her work stands out through uncommon, Western settings, a deep connection to English culture and literature, and artwork that diverge in various ways from generic, anime-style illustrations you can find in most EVNs. 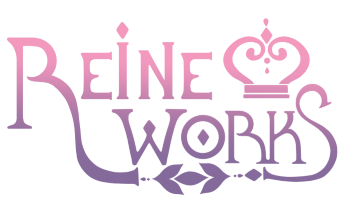 Blackberry Honey, ebi-hime’s latest commercial VN, is both a very typical title for her – with its yuri themes, Victorian England setting and interesting stylization – and an unusual one, as it the first project of hers to include explicit sexual content, through an optional 18+ patch. So, how did this venture into the world of eroge turned out for the OELVN scene’s star creator? 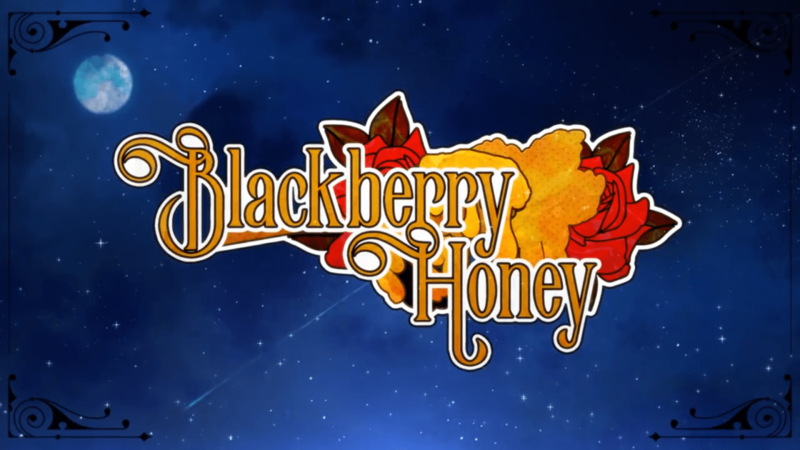 Blackberry Honey follows the story of Lorina Waugh, a young, poor maid that starts working in a rural residence of Bly, after being sent off in disgrace from her previous job, in unclear circumstances. Being mistreated by some of the older maids in the estate and Lady Constance, the young daughter of the owners, she struggles desperately to hold on to her position, so she can financially support her mother and sisters. 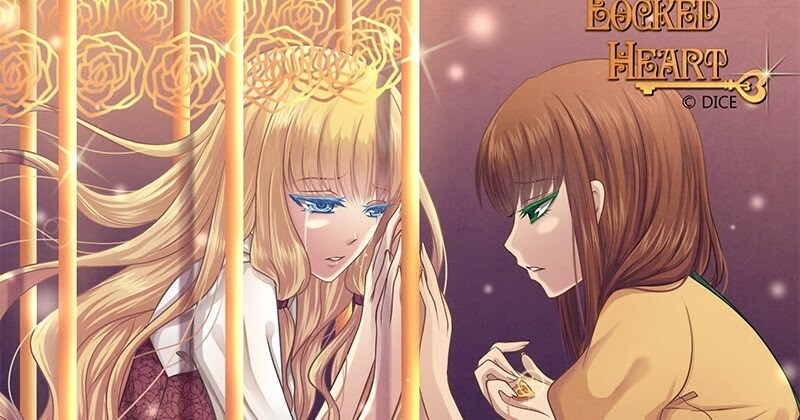 After being hurt while performing a pointless chore for Constance, she stumbles upon the Bly’s unusual, foreign-looking parlour maid, Taohua, sparking a relationship that will completely change her life. 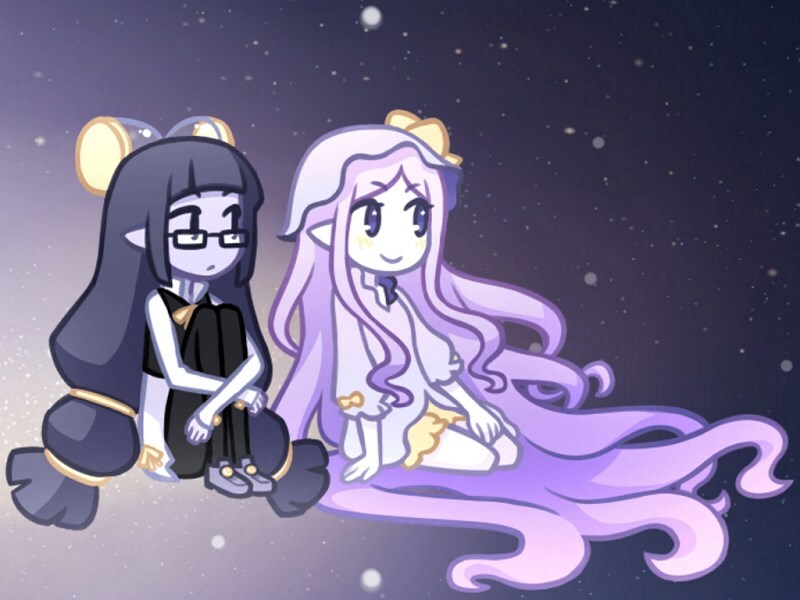 Some time ago I've offered you a short list of stand-out Yuri Game Jam VNs - titles that went beyond what you normally can expect from the free game jam entries, presenting compelling stories and surprising aesthetic values. While that list included some of the most-appreciated western yurige, such as well-known Ebi-Hime titles, among hundreds of YGJ and NaNoRenO entries produced over the years you can find many more worthwhile VNs with f/f romance themes that never received similar recognition. 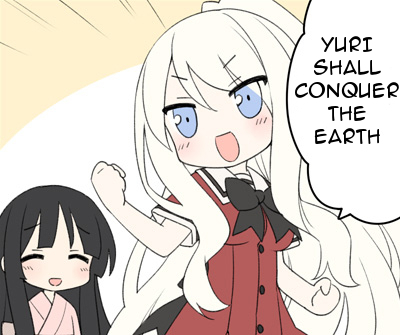 Today, I'm presenting you a list of another 5 free OELVNs with yuri elements, along with some honourable mentions for games that I'm less comfortable recommending to everyone reading this post, but are still worth appreciating for some of their achievements. Every title will be listed with an appropriate link to download them on Itch.io - I hope you'll find them to your liking! Brianna Lei's story about a group of lesbian teenagers has gathered a significant amount of mainstream attention thank to its unique subject matter (focusing on minority queer women and their experience) but is definitely more than just a piece of social commentary. It offers a well-written, charming story that tackles its main themes with a lot of subtlety and doesn't overstate the sexuality of characters, saying more about universal challenges of growing up than just minority issues. And while it definitely attempts to create a more realistic representation of homosexual relationships, straying away from the typical, idealized yuri romance, it's a fun and lighthearted read that should be appropriate for anyone not allergic to close-to-reality LGBT stories. Nami's allegoric love story about Space and Time is a simple, short game, that nonetheless managed to gather an impressive amount of praise from the readers, apparent, among other things, through its impressively high VNDB rating (7.54 average, 6.91 Bayesian). With beautiful visuals and high-quality writing, it's a really touching and surprisingly unpretentious read, appropriate not just for yuri fans, but rather everyone not afraid to shed a few tears. Sofdelux's Disaster Log C is not in any way a traditional love story, but apart from some slight LGBT+ themes and wacky visuals it offers a highly amusing, unusual story about two drastically different and initially antagonistic individuals trying to survive through a cataclysm that threatens to destroy their world. Interesting characters and Nami's strong writing makes it a thoroughly enjoyable read, if you can get past the game's obvious eccentricities. 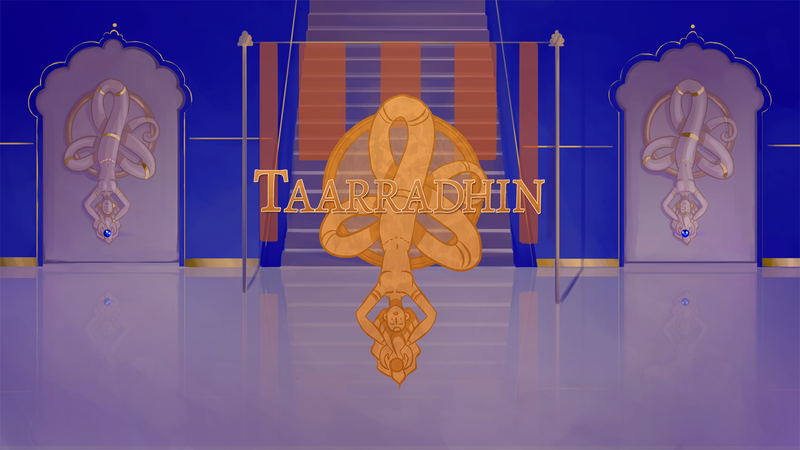 Taarradhin is a fairly well-known NaNoRenO VN that only partially relies on yuri themes, but manages to stand out thanks to an appealing aesthetic, India-inspired stylization and a simple, but well-executed plot. It follows the story of Netqia, a young and naive daughter of a powerful noble in a country struck by catastrophic drought, who's unexpectedly presented with a gift of two beautiful slaves. 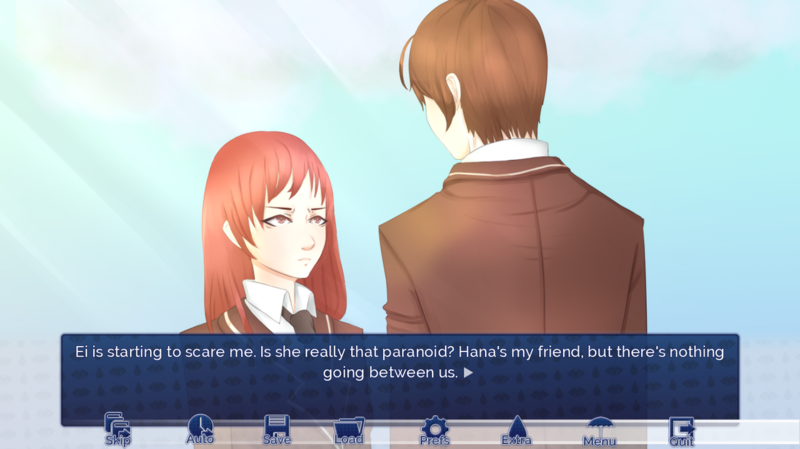 While, just like other games on this list, Taarradhin is fairly short, it manages to create a setting unusual for VNs on a few different levels, a pretty well fleshed-out cast of characters and an interesting intrigue, that lets you connect to the main cast through multiple playthroughs and rewards you with a compelling "true" conclusion at the end of the road. 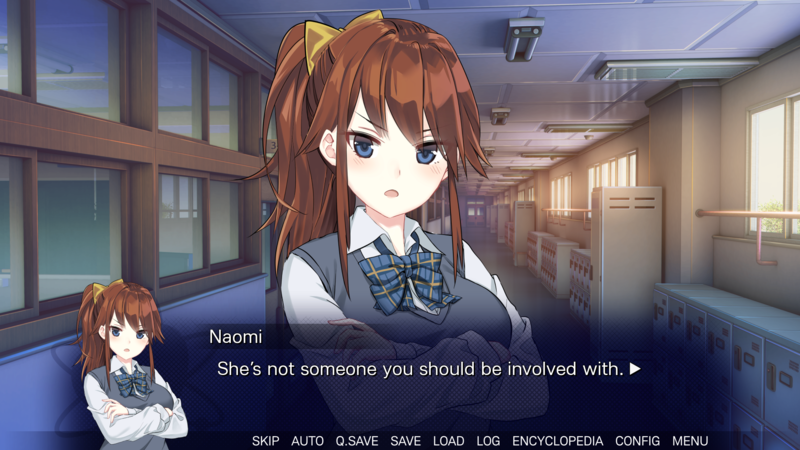 Quintessential work by Nami, the Romance Detective duology showcases both her characteristic artstyle and the casual, mostly-comedic storytelling typical for her VNs. 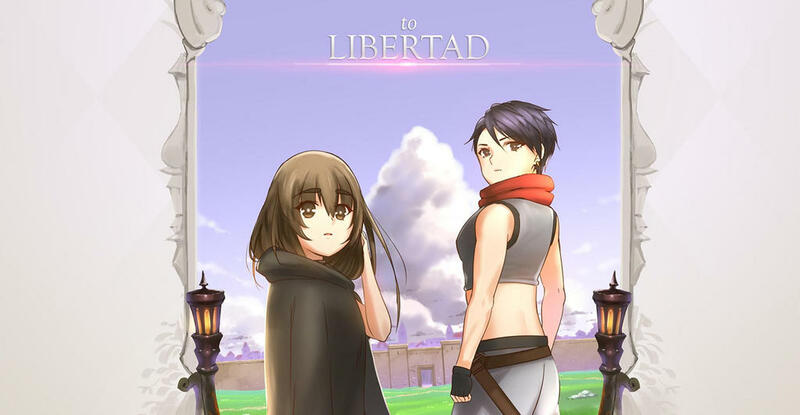 While the second game was never truly finished, missing some art assets, the whole series is complete story-wise and offers a lot of fun for those looking for a light, cheerful read - although the sequel has its share of more sober, touching moments and should be compelling also for those looking for some actual romance and drama. The honorable mentions go to the second Sofdelux title, Mermaid Splash, for a great aesthetic and atmosphere, despite rather predictable writing, Nami's Tunnel Vision for another minimalistic, heartwarming story that charms the player with its visual style, Toki Production's Princesses's Maid for a great protagonist and amusing romance, and finally npckc's Magical Witch Bell and Her Non-Magical Friends for great writing and the simple, but effective stylization. 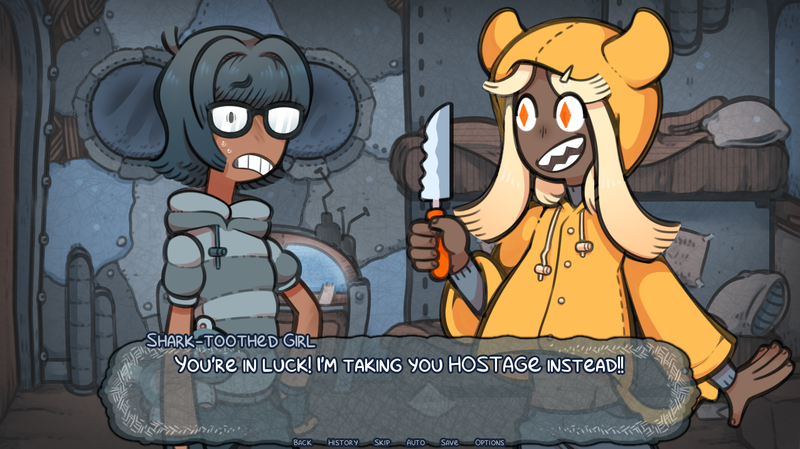 If you enjoy cute, cheerful stories, all these games are also worth your attention. And regardless of whether you decide to check them out, I hope you found this week's recommendations interesting. As always, all feedback will be deeply appreciated. Have a great week everyone! Mystery/romance might not be a rare formula for VNs in general but seems especially popular among Western developers – this probably shouldn't be surprising, as it's very compatible with shorter, linear stories that indie devs usually aim for. 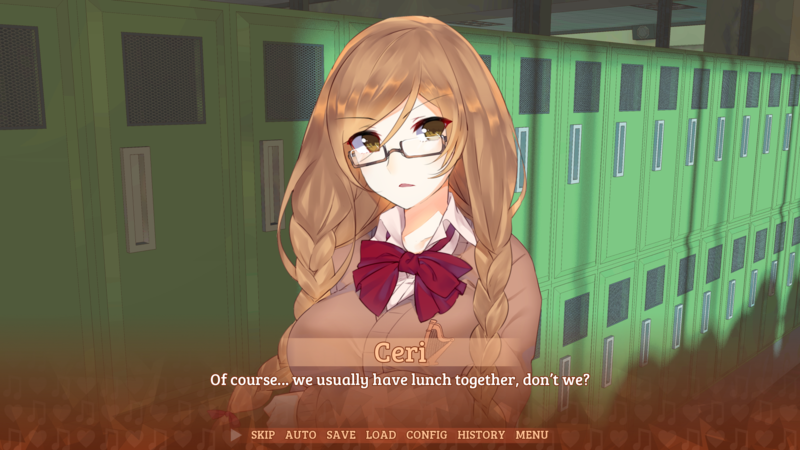 Just like One Thousand Lies, which I've reviewed last month, Sepia Tears is a free visual novel available on Steam and mobile devices, which offers a fairly deep, complicated intrigue, relying on its mystery elements to keep the player emotionally and intellectually involved. It's also one of the better known free VNs produced in the West, at least partially thanks to its release date – in early 2013, when it first came out, quality visual novels made outside of Japan were still few and far between, while the official market for localized JP titles was pretty much only starting to develop. The game found its way to a content-starved Western VN community and was pretty highly appreciated. Does it stand the test of time though?